This Mercedes-Benz includes: PREMIUM 3 PACKAGE Lane Departure Warning Automatic Parking Lane Keeping Assist Back-Up Camera Brake Assist Adaptive Cruise Control Blind Spot Monitor Pass-Through Rear Seat REAR SEAT ENTERTAINMENT PRE-WIRING AMG CARBON FIBER/BLACK PIANO LACQUER TRIM NIGHT PACKAGE MULTICONTOUR FRONT SEATS W/MASSAGE FEATURE Seat-Massage Power Passenger Seat Power Driver Seat SPORT STEERING WHEEL AIR IONIZATION W/AIR FILTER HIGH-PERFORMANCE SUMMER TIRES Tires - Front All-Season Tires - Rear All-Season BRUSHED ALUMINUM ILLUMINATED RUNNING BOARDS Running Boards/Side Steps HEATED & VENTILATED FRONT SEATS Cooled Front Seat(s) Heated Front Seat(s) *Note - For third party subscriptions or services, please contact the dealer for more information. * Want more room? Want more style? This Mercedes-Benz GLE is the vehicle for you. Today's luxury vehicle is not just about opulence. It's about a perfect balance of performance, comfort and attention to detail. 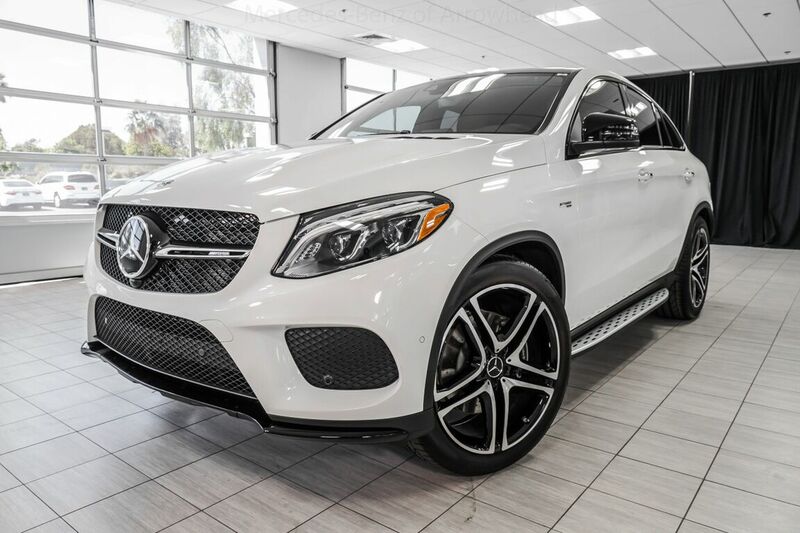 This 2019 Mercedes-Benz GLE is the perfect example of the modern luxury. Few vehicles can match the safety and comfort of this AWD Mercedes-Benz GLE AMG GLE 43. With enhanced performance, refined interior and exceptional fuel efficiency, this AWD Mercedes-Benz is in a class of its own. Put away your phone and focus on the road, your new vehicle has navigation. Visit your Mercedes dealer today serving Phoenix, North Scottsdale, Tempe, Gilbert, Mesa, Chandler, Scottsdale AZ.